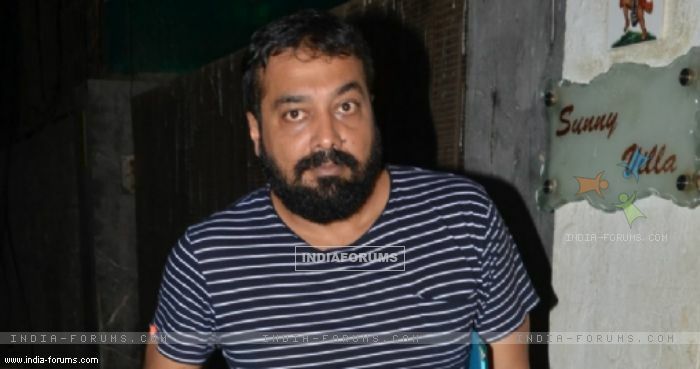 Filmmaker Anurag Kashyap, who is gearing up for the release of "Mukkabaaz" says the filming of his most awaited project "Manmarziyan" will start in February. Kashyap, who is helming the Anand L. Rai produced "Manmarziyan", said: "Now we are busy with the promotion and release of 'Mukkabaaz'. From January 13, we will start focusing on 'Manmarziyan'." The director of films like "Dev D", "Gangs of Wasseypur" and "Ugly", shared the news at the film's press conference on Friday. Dismissing rumours that Abhishek Bachchan is part of "Manmarziyan", Kashyap said: "There are a lot of rumours about it. "I also thought that 'Bombay Velvet' will be successful," he said. "Mukkabaaz" releasing on January 12 comes with the tagline 'Bahut Hua Samman', Kashyap said: "People in our country are offended very easily. It is a behavioural flaw in our country. "I think we can't grow because of it. A father always decides what his kid will be or what he will do when he grows up. And out of respect, the kid has to do it, without a question, killing his/her own dreams... That's what the tagline is about." "Mukkabaaz" presented by Phantom Films and Colour Yellow Films stars, Vineet Kumar">Vineet Kumar Singh, Zoya Hussain, Ravi Kishan and Jimmy Shergill.